As a result of a community energy forum in Yackandandah, located in Australia’s most densely populated state Victoria, two years ago in 2014, about 50 inhabitants started the ambitious plan to power the town with 100% renewable energy and to achieve energy sovereignty by the year 2022. 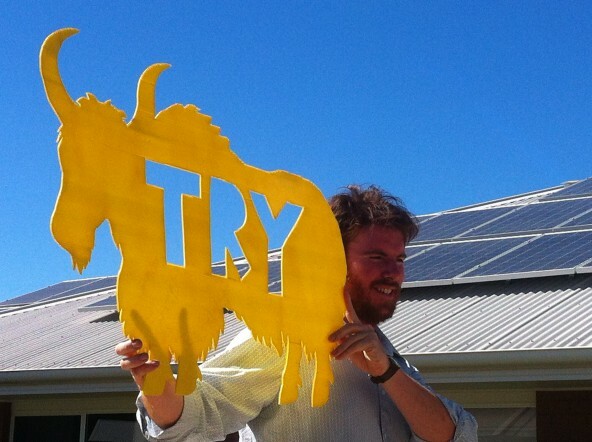 Inspired by the shining example of the German Wildpoldsried that produces three-times of its total energy consumption, the Totally Renewable Yackandandah (TRY) initiative was born and since then has contributed to significant steps forward to reach the ambitious targets. The group has established a multi-stakeholder collaboration, including local organisations, businesses, individuals and other energy-related stakeholders. In general, TRY seeks to establish a shared vision, reduce the overall energy consumption, while enable and increase renewable energy generation, as well as develop energy storage capacities. In this context, TRY’s community-based effort is guided by the principles of producing no more greenhouse gas emissions, to become independent from finite resources, to not produce harmful by-products and to utilise the technological potential of photovoltaic, solar thermal, wind and biomass energy generation. When the TRY initiative started their work, the town and surrounding villages already possessed over 28.7% of rooftop solar, corresponding to 201 of 700 dwelling buildings, producing 600kW from solar power. In 2015, this number increased to one in every three houses. One significant step forward was the launch of the 90kW rooftop solar of Yackandandah’s health centre in 2016. The financing of this project was supported by TRY’s Perpetual Energy Fund that contributed $60,000, which was half of the total costs. This can be considered as a good investment in the future, since the community-owned health centre saves $1million over the next 25 years, while drastically reducing its greenhouse gas emissions. TRY’s invested $60,000 are supposed to be repaid after 5 years from the savings on the energy bill. Afterwards, the Health centre can use the savings to re-invest in its community health services, making the community-based donations of the TRY Perpetual Energy Fund future oriented and an instrument to improve the local livelihood. Besides aiming for 100% renewable energy, the town is also increasing its energy efficiency and started to replace the Yackandandah’s health centre’s light fittings with LEDs and seeks to improve air conditioning and hot water systems in the building, while also reducing the overall amount of produced waste in the facility. Yackandandah is an example of community-based efforts that seek to take renewable energy production and supply in its own hands and by this reducing its greenhouse gas emissions and energy costs, as well as sets new incentives for the local economy. Timeline: 100% renewable energy & energy sovereignty for Yackandandah by the year 2022.